Until lately, research and development expenditures at big companies were one of few areas where CEOs didn’t get too particular about return on investment. They treated bench scientists like quarks who behave differently if merely observed. They wanted to avoid killing the goose laying the golden eggs by overly measuring either the eggs, or the goose. Corporate leaders were wary of crimping innovation with inadequate insulation of R&D outlays. And who could understand what all of those scientists and engineers were up to anyway? But that is changing in the aftermath of the Great Recession due to the spread of “open innovation” models across big business and with the intensification of global competition in technology-oriented industries ranging from semiconductors to pharmaceuticals. CEOs, CFOs and CTOs now are pressing hard to create the same kinds of windows and levers on R&D disbursements and returns as they long have enjoyed on, say, advertising budgets and audience measurements, or paper-clip procurement and back-office productivity. Even leaders in the pharmaceutical industry, a bastion of long-term perspective on R&D expenditures, are beginning to embrace a new approach. “Shareholders are not prepared to see more money invested in R&D without tangible success,” Andrew Witty, CEO of Glaxo-SmithKline, wrote recently. He is making the London-based drug giant a global leader in ensuring financial accountability for the company’s R&D outlays. Also, in a world where open innovation is becoming the rule, R&D investments become more difficult to track and evaluate as companies invite in more ideas and products from outside. A supplier innovation might show up as a cost of goods sold. A corporate contribution to a university that, in exchange, nets a valuable research insight might be registered under general expenses. Licensing proceeds disbursed to other companies might only manifest themselves as legal bills. Stiffening global competition is another reason for sharper attention to what companies are actually getting for their R&D dollars, as players in China, India and elsewhere challenge the traditional hegemony of European, American and Japanese giants in one research-heavy industry after another. R&D hubs in emerging markets also are picking up more and more work from companies in developed countries: About 11 percent of companies based in North America now spend more than a quarter of their R&D budgets in emerging markets, and more than 23 percent expect to have surpassed that mark within five years, according to research by Ernst & Young. Another factor in the urgency is that success in technology-based markets requires CEOs to make more, bigger and quicker decisions on R&D propositions than ever before. “Making the right bets, and picking the right hedges, is much more important because fast-changing consumer markets now are driving so much of [electronics] technology, compared with a decade ago when more research was going into a build-out of the business-to-business infrastructure,” said John Ciacchella, principal of Deloitte Consulting, in San Jose, Calif. Better measurement in such an environment is crucial because “how well you run your R&D innovation and processes is a much bigger differentiator of your performance against the competition than whether you’ve got a bigger piggybank,” said Barry Jaruzelski, lead partner in the global innovation practice of consulting firm Booz & Company. Key to success in this arena, he said, is a transparency of information about the prospects for returns from each project—and discipline in deciding what projects to kill or to keep funding. It’s especially crucial when you’re switching to a smaller piggybank. Nokia, for instance, is expected to have to cut its R&D costs by one-third because its bloated budget hasn’t kept it from badly losing market share to smartphone innovators that are much more efficient with their R&D, including Apple and Google. Shopworn and relatively crude measurements of ROI from R&D outlays still guide too many corporations in their decision-making. Customary tools include R&D expenditures as a percent of revenues, also known as “intensity,” and stacking research outlays against numbers such as R&D headcount, or against the number of new-product releases. “The problem is, those numbers don’t say anything about how useful the R&D is,” said Scott Harper, owner of Business Advancement Inc., a Glen Rock, New Jersey-based consulting firm, and formerly an R&D leader in the drug industry. “Am I getting new products out of that? Is it serving my objectives?” Moreover, said Battelle’s Grueber, as sales fell or leveled off during the recent global economic swoon, merely measuring R&D as a percentage of the revenue number lost meaning as a guide for the future. Yet, the importance of improving gauges of R&D success is growing exponentially. So, more companies are trying other methods. Hewlett-Packard, for example, has spent $16 billion on R&D since fiscal 2006, as it has successfully extended its mastery of the mid-range desktop-printer business to strong positions as well in the low-end inkjet -printer market, in both printing from the web instead of from PCs, and in consumer use of photo kiosks at Wal-Mart and other retailers. One important reason for its string of recent wins is that, in each case, the Palo Alto, Calif.-based company underwent a thorough “investigation phase” aimed at nearly ensuring Hewlett-Packard would “pick the right kind of product that will be a big breakthrough in 24 months from today,” explained Vyomesh Joshi, head of the company’s digital printing and imaging business. Tata measures returns on its R&D investments differently, depending upon which of three distinct types of initiatives is involved. 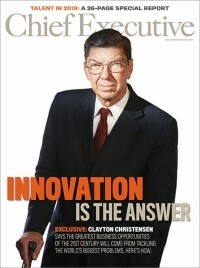 There is a “deliberative innovation stream,” mainly consisting of incremental efforts to improve existing lines of business; for those, Tata uses a “scorecard” of several relatively traditional return metrics such as profitability improvements generated by the innovation over the next six months or year. The second innovation stream involves what Tata calls “platforms,” which are stretch ideas that are potentially larger in scope, usually fall in between the company’s existing operations, and will require two or three years to reach fruition. The business unit that picks up the innovation for a pilot program will apply its own yardsticks to returns from the development, including measures of customer satisfaction or process improvements. GlaxoSmithKline’s Witty has been in the drug-industry vanguard in reacting to the strains being put on R&D by the demands of a much tougher new marketplace. Brand success in pharmaceuticals is being increasingly challenged by generic drugs, the consolidation of purchasing power in the hands of central governments and managed-care organizations, and more demanding regulatory regimes throughout the western world. The industry hasn’t done itself any favors, either, as its success rate in bringing new medicines to market over the last few years is only about half what it was previously, according to a new study by the Biotechnology Industry Organization. So, Witty is forcing underlings to make harsher, quicker choices as to which drugs get further development funds. He has reduced the headcount in the company’s pharmaceutical R&D by 25 percent since 2006. And talk about a gambit that demands attention to returns from drug development: Witty has changed the company’s incentive program so that the bonuses even of clinical-development executives—who traditionally were well insulated from a drug’s commercial fate—now are tied to whether a drug appears for sale and how it performs. In general, CEOs and consultants in every technology business are scrambling for better metrics on returns from R&D. As they streamline processes, for example, more companies are interested in employing measurements such as new-product-development lead time as a way of gauging the progress of their R&D efforts. Another increasingly popular approach is to use a so-called “freshness index,” which measures the percentage of sales or profits over a given number of years that are represented by new products and services. The new era of R&D favors companies with tight discipline, streamlined processes and an opportunistic mindset. Measurement of returns should stretch beyond traditional percent-of-sales numbers into other metrics. If the pharmaceutical industry can overhaul R&D, significant improvement is possible in any business. Apple employees celebrating the iPad 2 launch. Apple Computer has become “the poster child” for R&D envy by CEOs, said Barry Jaruzelski, lead of the innovation practice at consulting firm Booz & Co. That’s because, since Steve Jobs’ return to the top of the company in 1996, Apple’s R&D efforts have turned out one blockbuster product or feature after another, including the iPod, the iPhone and the iPad. As a result, Apple was rated the most innovative company in a recent Booz survey of “innovation executives,” beating out every other high-tech giant as well as highly regarded General Electric and Toyota. Yet Apple spends relatively little to obtain stellar returns from its newproduct investments. In terms of R&D “intensity” (spending as a percent of sales), Apple ranked ninth among Booz’s top 10 innovative companies, with a 2009 figure of just 3.1 percent; only Procter & Gamble succeeded with a lower figure.